Hi there! 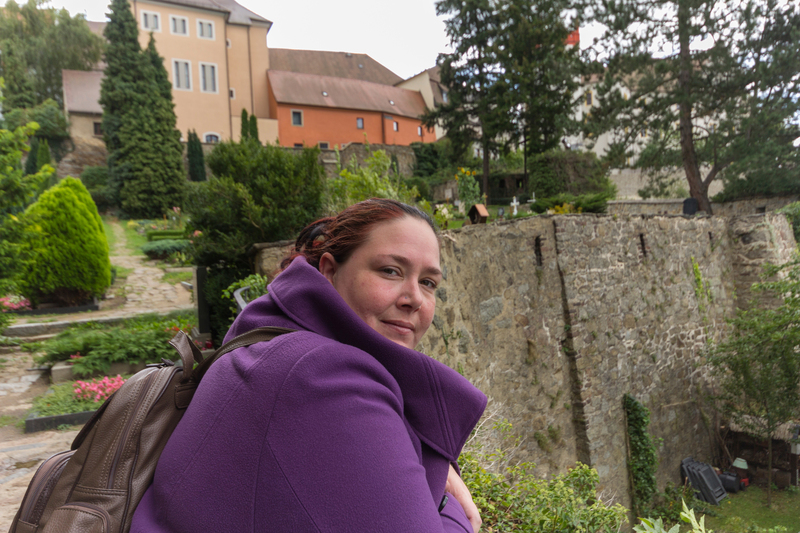 So, you’ve seen bits of my site and decided that you wanted to know a little more about me other than that my name is Chantal and that I love writing, travelling and photography. Well, you’ve come to the right place! I’m happily married to my husband and tech-geek Ewout, and we live together with two cats/disasters named Tommy and Mickey. Their crazy antics provide a lot of laughter and even inspiration in our home. I’m not-so-secretly a huge geek, addicted to Doctor Who and Warhammer, and I’ve been known to raid quite a few dungeons in my time. It’s what I live and breathe. When I’m not actively working on my novel, I’m on Pinterest or outdoors looking for inspiration, or working on one of my short stories. I’m lucky to have a job that allows me to be busy with writing every day, but of course that wasn’t quite enough for me. I started, and now lead, a course on creative writing for my colleagues! Every two weeks we come together to read the short stories that we’ve written, give feedback and discuss the new assignment. They love it, and it even inspired people outside of work to do the assignments as well. An old love of mine is poetry, for me, the written word has always been a way of expressing my feelings and thoughts, and poetry is a form I keep coming back to. I’m a wanderer at heart. I never could stay in one place for too long, I tend to go a little stir crazy. So what’s a girl to do? Well, she goes out and wanders the big cities filled with people, buildings and culture, and the little towns with only one road and a single pub. And she writes about everything she sees of course! That last bit started as something that was just ‘fun for the Homefront’ to show where we’ve been, since then it has grown into a shiny blog and something people have come to expect. I’d like to travel the world someday, see everything there is to see, but there are a few places that have already stolen my heart: Scotland, Germany and England. Where others see drab, cloudy skies I see texture and colour. Where others see boring buildings I see clean lines and the hidden thoughts of the architect. I think that as a photographer, we tend to see the world a bit differently. That view is what I try to capture in my photographs, whether it’s of the country we’re currently enjoying a well-deserved holiday, of the city trip we’re taking in our own country or even just the park back home. It’s seeing the world with wonder. Architecture and nature are the subjects that draw me the most, as well as everything having to do with the Second World War. This started back when we first travelled to Germany but has grown to quite a full-blown project. We try to visit at least one significant location related to WWII a year. Together with my tech-fairies I’m working really hard to make this website bi-lingual. This unfortunately also means that all of my older stories, travel reports and other fiction needs to be translated, which takes a lot of time. So please, have patience! One of my favourite writers, Mister Chuck Wendig, posts regular writing challenges over on his blog. One of my goals is to join in these challenges as often as I can. Since these challenges are in English, most of my short stories will be in English as well, for your reading pleasure of course.